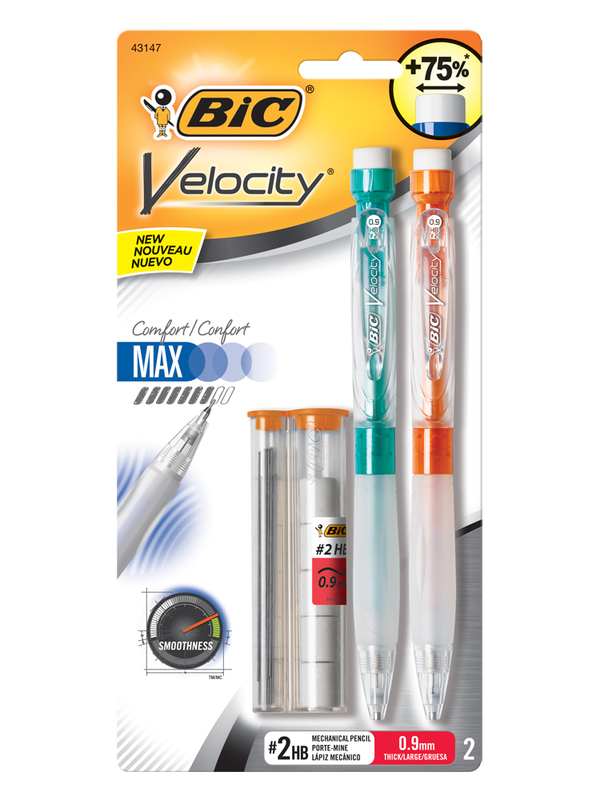 BIC Velocity Max Mechanical Pencil, 0.9 mm - Large eraser for more erasing power! 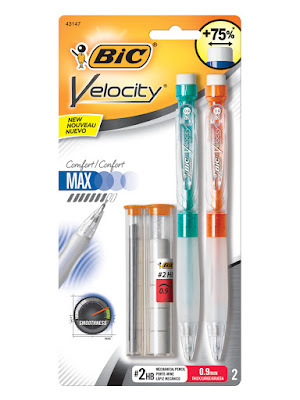 75% wider eraser compared to BIC Velocity Original Mechanical Pencil. Soft gel grip molds to your hand for a comfortable writing experience. Smoothest, darkest writing vs. other BIC mechanical pencils. Strong lead erasers cleanly. Barrel colors may vary. 2-Pack, 0.9 mm thick point.